Lapac and Rumea sound a bit like those ancient continents Gondwana and Laurea, which straddled the Earth before tectonic plates carved them into the world map we’re all familiar with. Actually, the parallel is not so very far off the mark. Except, the carving of these new continental landmasses is being done, even as we speak, by Rakesh Kapoor, recently appointed chief executive of healthcare-to-household conglomerate Reckitt Benckiser. This is part and parcel of his new vision of the commercial world, articulated as a kind of antidote to some not-overly-impressive full year figures which have been announced at the same time. As Kapoor sees it the motor-force markets of North America and Europe will, at best, stagnate in the years to come, so he’s taken the radical step of downsizing them into a single operation, centered on Amsterdam, in order to cut costs. At the same time emerging markets, where almost all RB’s future growth is expected to come from, have been recast with new and emphatic importance. Hence “Lapac”, or Latin America and Pacific countries; and “Rumea”, Russia, the Middle East and Africa. These are no mere geographical expressions either; Kapoor intends to put RB’s money where his mouth is. At the moment, only half the company’s capital expenditure goes into these regions. By 2016 this will rise to 80%. And we can expect little less revolution in the way the marketing budget be allocated: the bias towards emerging markets will shift from 44% to 55% over the same period. It can hardly have escaped notice that a strategic realignment of this kind was implicit in Kapoor’s appointment as CEO in the first place. He is the first Indian to lead RB’s stalwartly Caucasian board. As such, he is part of a growing trend in multinational companies: the displacement of WASP leadership. Look around you and you will see Coca-Cola and Pepsi rearming for an all-too-traditional cola war, with greatly increased marketing budgets. But one corporation is now led by a Turkish-American Muslim, Muhtar Kent, and the other by Indian-born Indra Nooyi. They’re not there by historical coincidence. A lot of that money will be spent over the next 4 years encouraging people in emerging markets to drink cola; rather than simply refreshing the palates of jaded North Americans. We might note the same trend at Citigroup, whose chief executive is Vikram Pandit, and Deutsche Bank, which has picked Anshu Jain as its new co-chief executive. Or even at that redoubtable WASP establishment Harvard Business School, whose dean of two years is Nitin Nohria. The big surprise is that Unilever did not take this route when appointing a successor to Patrick Cescau, instead plumping for a Dutch outsider with a P&G and Nestlé pedigree, Paul Polman. Maybe appointing a non-European would have been too far ahead of the curve in early 2009. That said, the two most promising internal candidates for the CEO job, Harish Manwani and Vindi Banga, were – as their names clearly indicate – both Indian. 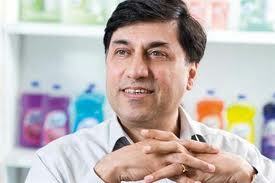 If Polman decides to move on, I’ll wager that the next Unilever CEO will be Indian. Relief for StrawberryFrog, the maverick but financially-challenged New York advertising micro-network, is nigh. 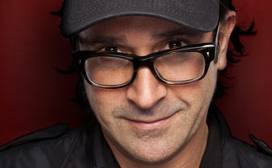 SF founder Scott Goodson has realised his 30% investment in Sao Paolo agency StrawberryFrogPeralta, which he set up with Brazilian creative whizzkid Alexandre Peralta in 2007. The way Peralta tells AdAge the story, break-up was all his idea. SF NY has never had operational control over Peralta’s outfit, but it does boast a string of enviable global clients, such as Emirates and Pepsi, that were expected to spread their love to Brazil via the association. That may be true, but the fact is Brazilian hotshops are not above playing fast and loose with their international allies. Thanks to growth rates of 30% or more a year, they can more or less set their cap at who they like – once out of contract. In Peralta’s case, this currently seems to involve flirtation with MDC-owned CP&B. Certainly he was coy on the subject when pressed by AdAge. Just before Christmas, I highlighted a similar situation at Neogama BBH. Founder Alexandre Neogama was giving his UK partners a hard time, even threatening to defect to a rival network. In the event, this seems to have been a bluff aimed at leveraging his existing position, although we cannot yet be certain of that. For Goodson, parting with Peralta must be a mixed blessing. On the one hand, he can congratulate himself on a shrewd financial investment. SFP is profitable, enjoys an estimated $8-9m revenue and, according to Peralta, is expected to grow by 50% this year. On the other, when is Goodson likely to come across such an opportunity again? Omnicom is poised to clinch a $100m deal to acquire eCRM and research company Communispace, according to sources in a position to know. Communispace specialises in creating communities online – it claims to have over 350 in operation. It can mine and shape sophisticated customer database material for large, blue-chip clients – which often find difficulty in establishing the actionable status of “chatter” in the social media sphere. Communispace clients include Coca-Cola, Campbells, Colgate, Hasbro, Heinz, HP, Microsoft, Pepsi and Unilever. 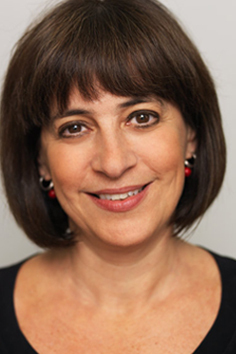 Communispace was set up in 1999 by current president and chief executive officer Diane Hessan, a Harvard MBA. It is based near Boston, Massachusetts, but has global reach, with offices in London; Genoa, Italy; and in the Asia Pacific region, operating out of Sydney, Australia. Maria Rapp, a founder of Communispace, is managing director of European operations. Communispace is 43% owned by California-based Dominion Ventures Inc. A further 13% is in the hands of Boston-based Women’s Growth Capital Fund. Senior staff appear to own the rest. It is easy to see why Omnicom would be interested in buying such a company, but not why it should be paying so high a price – if financial data that has come my way is any guide. Communispace’s 2010 gross revenue is expected to be $47m and profit before tax, $6.3m: which suggests an already high price/earnings multiple of about 16. Additionally, however, just under 30% of that profit-before-tax figure is expected to be siphoned into an options bonus scheme for senior Communispace management, which would effectively make the multiple soar well into the 20s. It has rightly been pointed out that Omnicom is not normally known for its financial extravagance. Nor has it been particularly active on the acquisitions front recently. There must be a pretty important piece of mutual business at stake to justify paying Communispace’s $100m asking price. In the global village, there’s nowhere you can hide – for long. A spreading corruption scandal in the little-known Chinese city of Chongqing (population about 35 million) will be causing the worldwide media bosses of Vivaki Exchange (Publicis Groupe) and OMG (Omnicom) some sleepless nights. It’s a cautionary tale about using Chinese brokers as intermediaries in media negotiation. All the main global networks, with the exception of WPP, use one – though not necessarily the same one. They broker the client rather than the media owner. Last week, the chief executive and number two at Publicis’ buying point in China, Vivaki Exchange, left (or more likely were forced to leave) abruptly. Vivaki Exchange is an on- and offline amalgam of Publicis’ Solutions Digitas, Starcom MediaVest and Zenith Optimedia, formerly known (in China) as China Media Exchange (CMX). The reason for the two executives’ departure? Warren Hui (left) and Ye Pengtao had had dealings with a media broker called Chongqing Huayu, which operates in China’s so-called South Western markets (Yunan and Sichuan as well as Chongqing itself). Chongqing Huayu is owned by a certain Zheng Zhixiang, recently arrested by the police in connection with the Chongqing Hilton prostitution scandal (highlighted here in the Daily Telegraph). The allegation is that he had been using the media broker to launder money from the prostitution racket. If convicted, Zheng will probably face the death penalty. According to well placed sources, the broker Huayu (unusually in China, I’m told) owes money to the two buying points: perhaps Rmb100m (£10m) in the case of Vivaki Exchange; the amount owing to OMG (which uses the same broker) is unknown. Whatever the exact nature of the shortfall, it will now be impossible to make good, owing to the scandal. As a measure of how serious the situation is, both Hui and Ye were interviewed by the police on September 4. They were released after 48 hours, but told not to leave the country pending further investigation. I understand that police enquiries have extended to the general manager of Pepsi’s bottler in south-west China. Pepsi is Huayu’s second largest client. Media buying is handled by OMG via OMD. China is one of the fastest developing advertising markets in the world. Asia Pacific, of which China is the largest component, will overtake North America in size by 2014, according to recent research sponsored by Starcom MediaVest. China’s ad market is already nearly as big as that of Western Europe. UPDATE 13/10/10. OMD China has “let go” its managing director of five years Winnie Lee and replaced her with Siew Ping Lim, formerly of WPP-owned Mindshare, who holds the upgraded title of ceo. Lee, who “does not have a clear plan at the moment“, will leave next month. Is her departure by any chance related to the above events? FURTHER UPDATE 23/11/10. More evidence of stress and strain at OMD China. OMD’s Johnson & Johnson global account director, Ben Jankowski, who relocated to China in June – because, he said, it was the place to be – has quit. He is crossing the line to become global media head of Mastercard early next year. Team turmoil is said to be the cause.